Happy National Girl Scout Cookie Weekend! Open House Celebrations for National Girl Scout Cookie Weekend! The cookies are back in Riverside and San Bernardino counties, but that’s not the only exciting news involving the sweet treat. 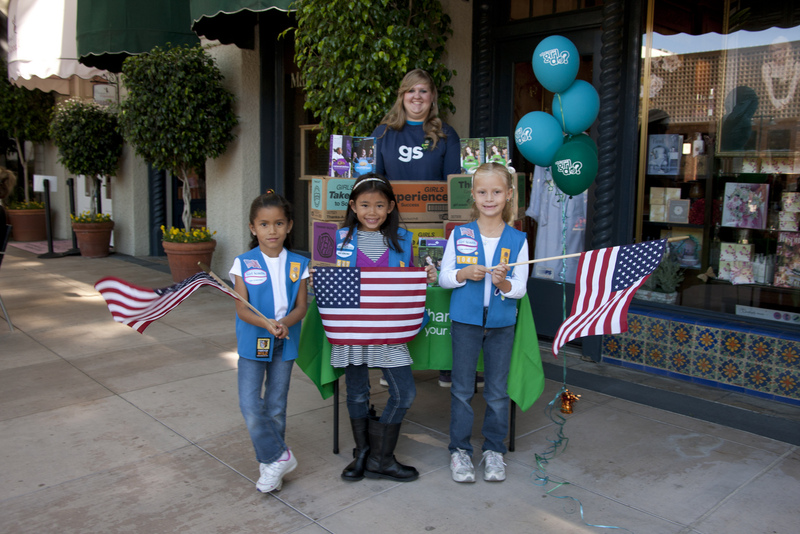 This year, Girl Scouts of the USA declared February 7-9, 2014, to be National Girl Scout Cookie Weekend! Every Girl Scout council around the country is gearing up for special events to celebrate the holiday. As the Girl Scout council that achieved the highest per-girl average number of boxes of cookies sold in 2013, the San Gorgonio Council is at the forefront of the celebrations. Inland Empire cookie lovers are invited to join Girl Scouts of San Gorgonio at one of the four Service Center open house parties to be held in Redlands, Murrieta, Victorville and Palm Desert on Friday, February 7 from 4 to 6 p.m. These National Girl Scout Cookie Day celebrations are free and open to the public. Come enjoy the new Cranberry Citrus Crisps, complete with 9 grams of whole grains, before purchasing boxes from local Girl Scouts for your own cookie stash. Visitors can also buy the new Gluten-Free Chocolate Chip Shortbread cookies; only a select twenty councils throughout the country sell these delicious new additions – and GSSGC is one of them! Learn about the Cookie Entrepreneurial program and the five essential life skills girls develop from running their own businesses: money management, business ethics, goal setting, decision making and people skills. Along with the general public, Girl Scouts themselves are encouraged to attend the open house celebrations and participate in “earn and learn” activities. All events are free to attend. Adults, parents and girls interested in learning more about joining the Girl Scout organization are encouraged to attend information sessions on February 7. Any girl who registers on Friday of National Girl Scout Cookie Weekend will receive her first, free colorful patch commemorating the event. Previous Previous post: Cookie Friends Time! Next Next post: Special Deals from The Tire Guys and Snow Valley Mountain Resort this Saturday and Sunday!